From content consumption to online commerce, social media’s influence on all the digital activities of internet users is growing. And as today’s Chart shows, in 2016 being an internet user is virtually synonymous with being a social networker. 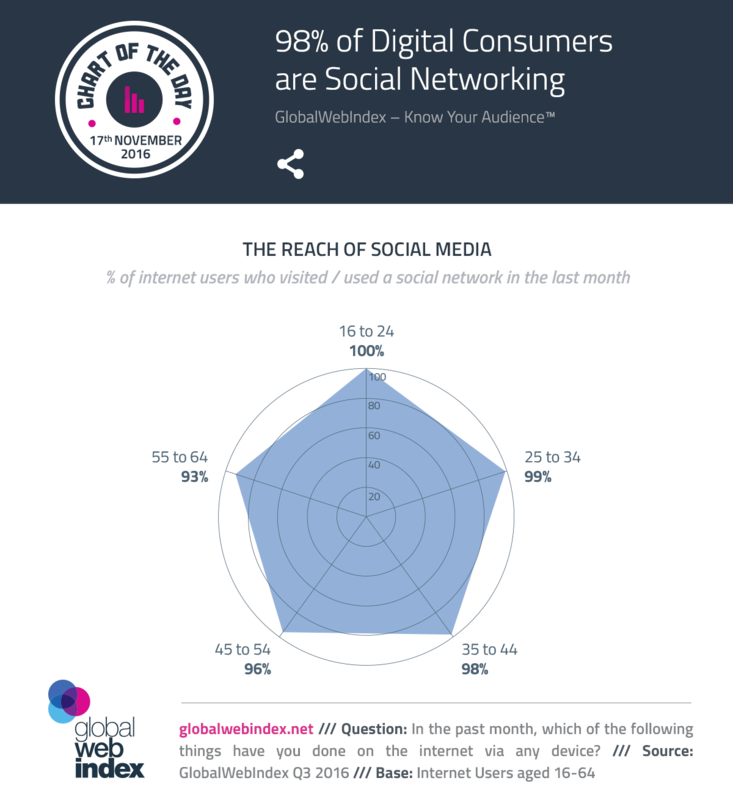 As we outline in our new Social Media Landscape infographic (available to clients here), it’s now practically all (98%) online adults who are accessing social media on a monthly basis. Even among the oldest age group tracked by GWI (the 55-64s), it’s 93% who say they are engaging. Along with the numerous other metrics outlined in our Social Media Landscape infographic, these figures counter the idea of the ‘social media bubble’ bursting. In fact, it’s more influential than ever.